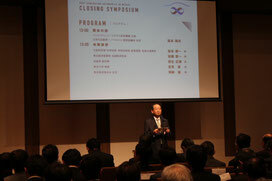 Symposium 13:00-17:25 Venue　The Westin Sendai　25F　"雅"
Banquet:　17:30-19:00 Venue　The Westin Sendai　25F　"月"
We held a closing symposium at The Westin Sendai as a place of the final report of this project. On the day, large number of people who cooperated and made great efforts in this project participated in the symposium. 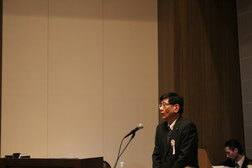 In the symposium, two great lecturers gave presentations for us. 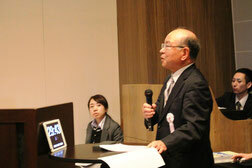 The first lecturer was Mr. Yoshinobu Koyama from TOYOTA MOTOR EAST JAPAN, INC. The topic he talked about was the tecnique development of TOYOTA. 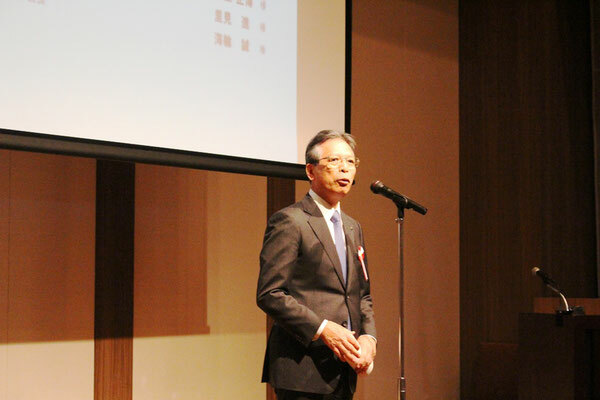 Then, Prof. Fumihiko Hasegawa, the second lecturer, gave a presentation about efforts for researching the next-generation automobiles in Tohoku University. After these lectures ended, we moved to the next session, "Project report". 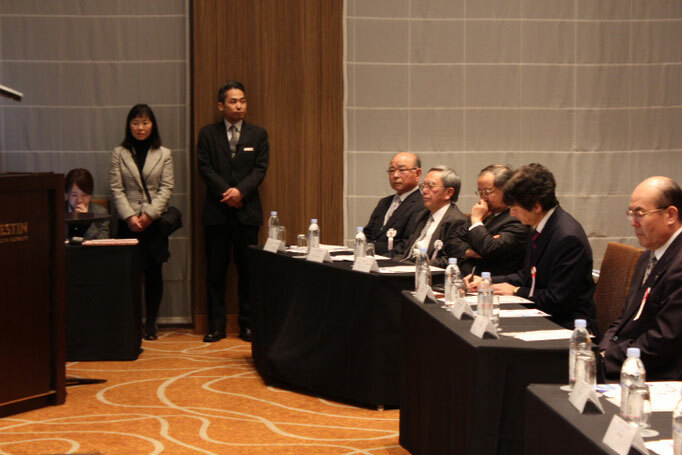 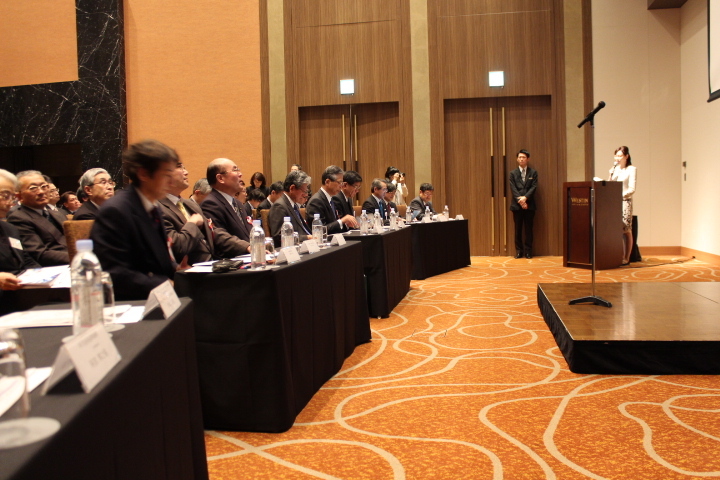 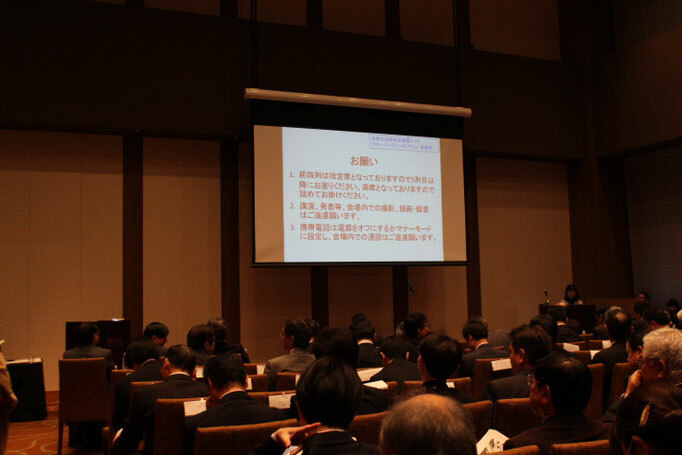 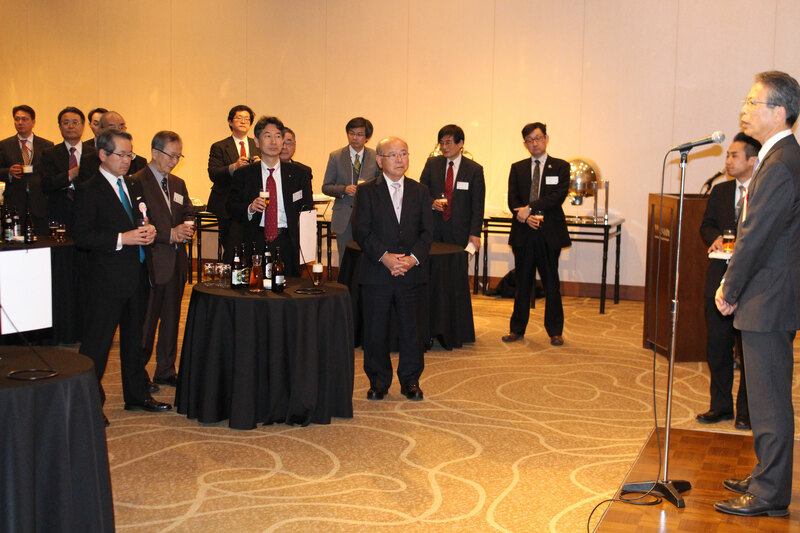 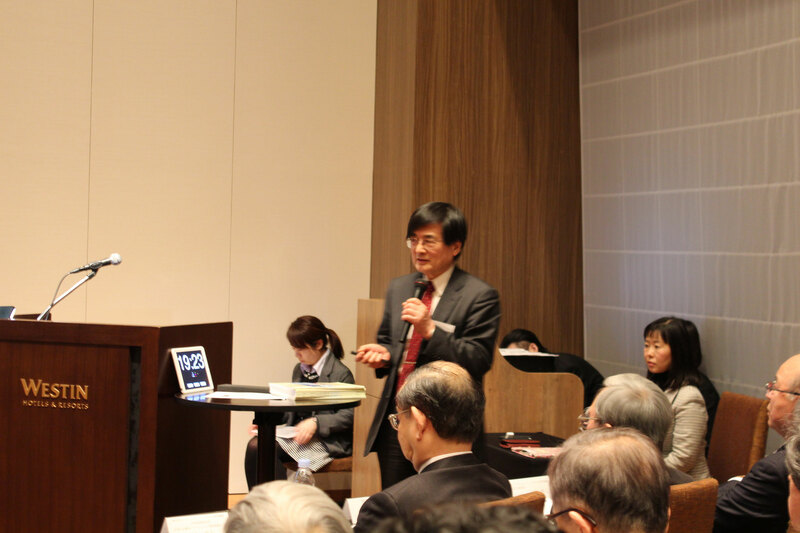 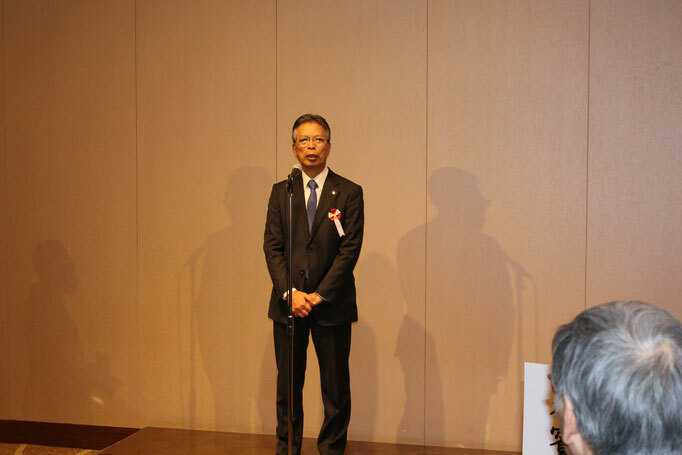 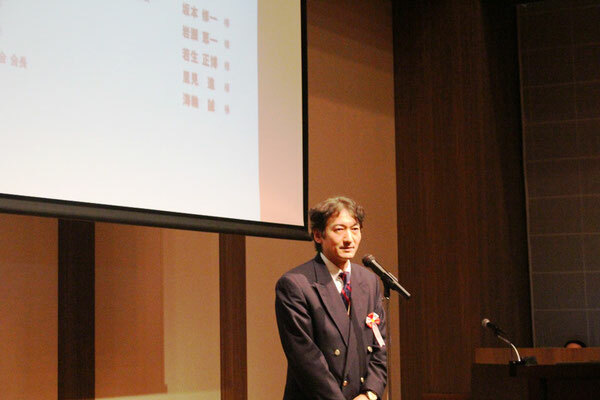 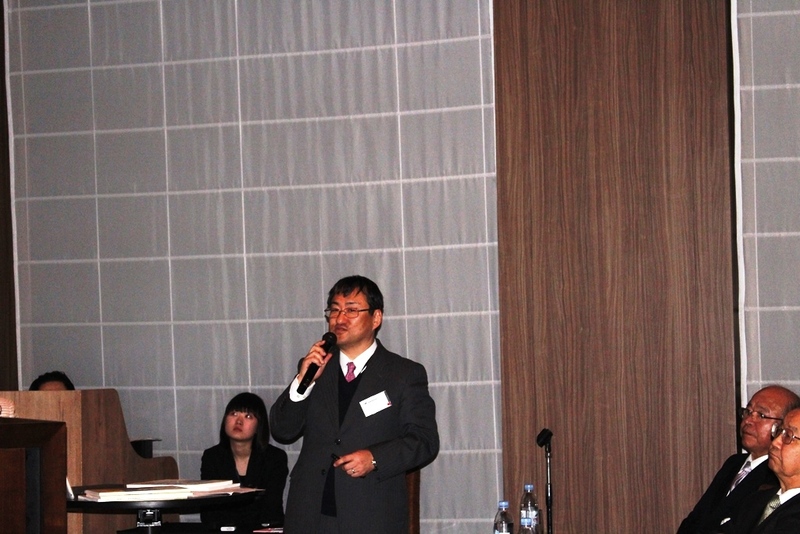 Our project director, Mr. Katsuto Nakatsuka summarized our efforts for this project. 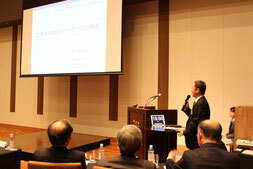 Then, three executives reported their efforts which each of them was in charge of. 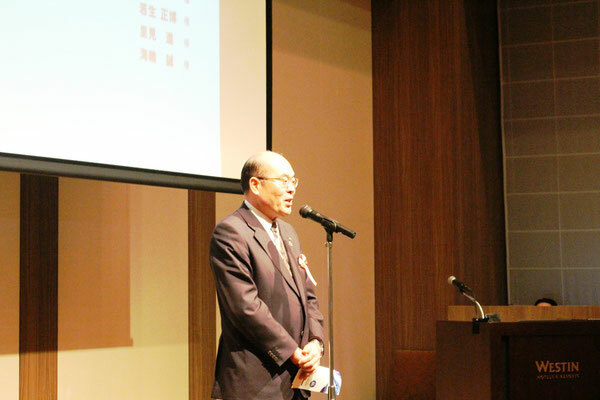 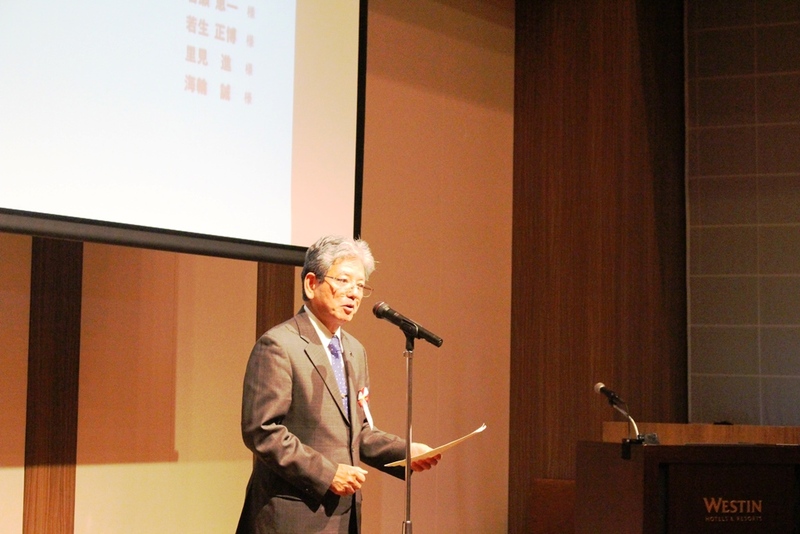 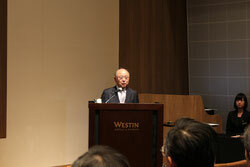 Mr. Toshio Kato reported about "Building knowledge network". 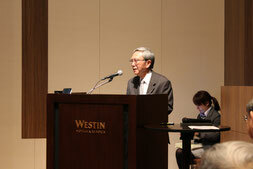 Prof. Akira Miyamoto reported "Humanresources development program" and "Sharing of Research Facilities and Machines in the Local Reserch Institutions and the University", then, Mr. Tsutomu Iwama provided an addtional explanation about the topic of "Sharing of Research Facilities and Machines". 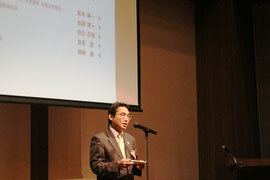 He explained it from the Miyagi prefecture's viewpoint. 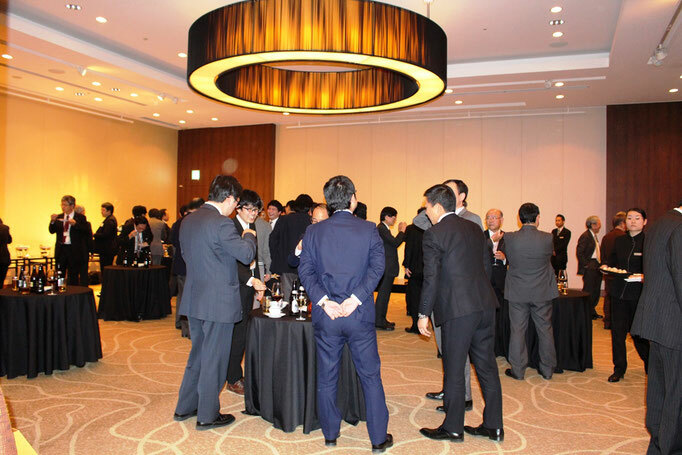 After that, we moved to the banquet and had further discussions. 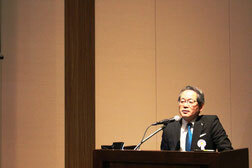 "Technology Development of TOYOTA MOTOR EAST JAPAN"
Manager of Development Planning Dept., TOYOTA MOTOR EAST JAPAN, INC.
"Development and Implementation of Human Resource Development Program for Regional Innovation Strategy"
"Sharing of Research Facilities and Machines in the Local Reserch Institutions and the University"